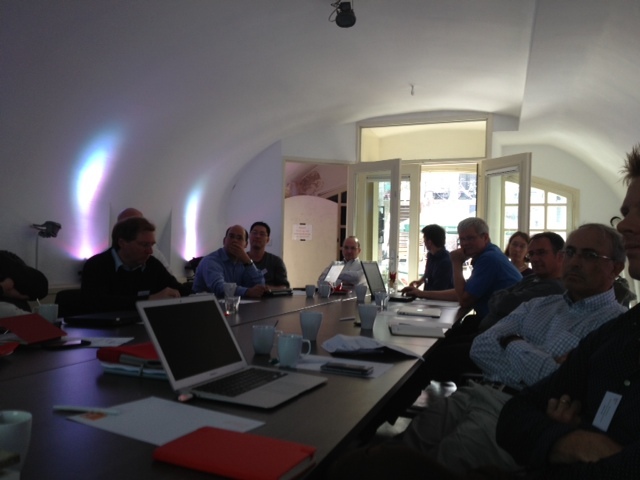 The Berlin fellow meeting has started with lively discussions at Charité in Berlin: the location with a unique and magical history in Medical Sciences. 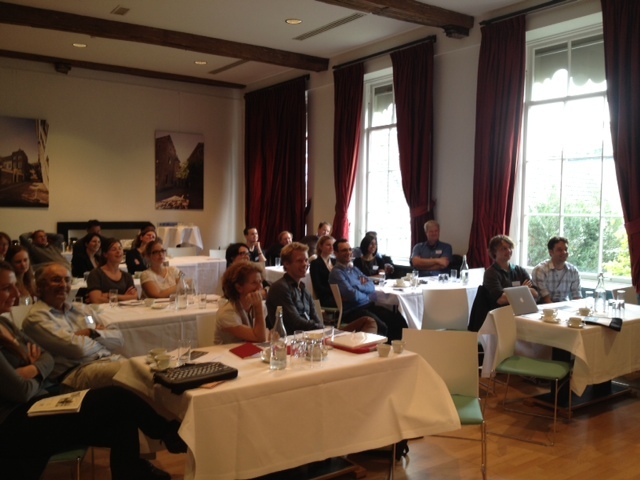 The Mid Term Review meeting of EUTRAIN started on January 8th in Utrecht. As EUTRAIN is a translational project it’s main goal is to ultimately have an impact on children with inflammatory diseases. 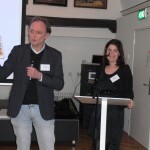 To put also the meeting in this context the meeting was opened by Marlies Allewijn. Marlies Allewijn is a gifted writer and journalist. Especially for EUTRAIN she has parts of her novel “SchEef” translated. This semi-autobiographic book is an inspiring and funny book about a teenage girl with Juvenile Idiopathic Arthritis. All participants were touched by her reading and asked about the full english translation of her book. 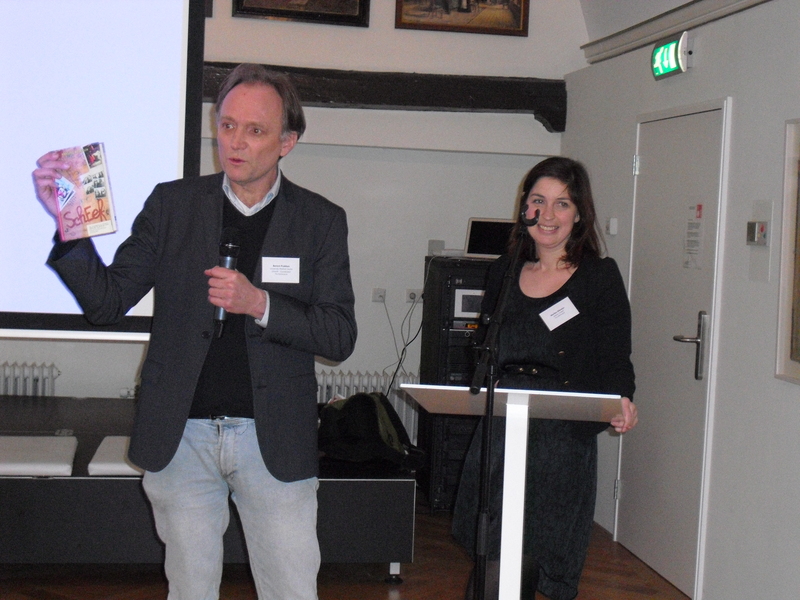 EUTRAIN hopes that SchEef will be translated, first in english, and afterwards maybe in other languages. It is a book that deserves a larger audience. 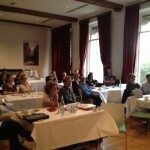 January 7-9 EUTRAIN will meet in Utrecht. 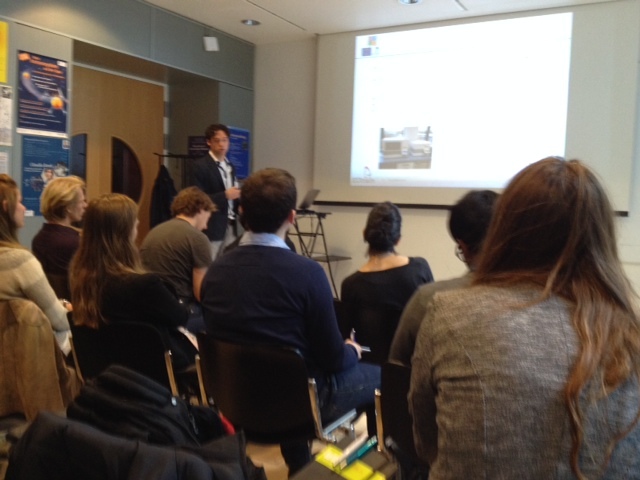 At this meeting much attention will be given to the patients as they are central for the research in EUTRAIN. The fellow day wll start cvopmpletely fron patient perspective with a direct conversation between parents of a boy with juvenile artritis (JIA) and the young investigators. At the main meeting two (ex-) JIA patients with extraordinary talents will open en close the first day: writer Marlies Allewijn and musician Svenja Staats. We had the opportunity to follow all the process from the hand of the professor Miossec assistant, A.M. Neamt. We also had the opportunity to see how a US scanner was used on adult patients with arthritis (Dr. T. Roland), which was of great value to learn more about the expressions of the disease and the identification of human anatomy. Apart from this Paola also explained the principles of immunology, which was very important for my better understanding of the whole picture. The experience was very enriching and interesting! It helps a lot to understand the fellow partners and the environment you are working in. Working in a multidisciplinary team is truly a great thing. On a personal level it is also very nice to get to know the people closer. ‘Autumn in the Netherlands is characterized by unsettled weather’. This is what I was told when I first arrived in Utrecht! Being southern Italian, I rapidly started thinking to a way to still enjoy nice sunny days before the onset of winter. 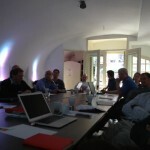 That’s how I ended up in a fruitful collaboration with the Milan Group! It’s a joke, of course! The truth is that last summer I had preliminary interesting data on a cell population enriched in the synovial fluid of Juvenile Idiopathic Arthritis that seemed to be highly cytotoxic, thus a good potential candidate for a cell-depletion strategy. However, phenotypic and functional characterization of the population of interest at a single cell level was still missing. 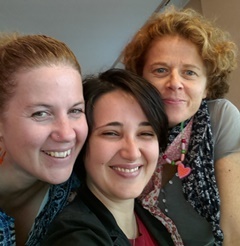 Being aware of the over 20-year experience of Maria Grazia Roncarolo and Manuela Battaglia’s group (PIs-ESR08) in single cell T cell cloning, Berent and I thought that a secondment in Milan would have been a good opportunity to learn this technique for the whole Prakken’s group and for my project itself. Then I spent 2 months (Sept and Oct 2013) at San Raffaele Scientific Institute in Milan and, thanks to Maria Grazia and Manuela’s tips I was able to generate single cell clones of the population of interest. I want to thank also Bechara (ESR08) for his help in the lab and for the nice collaboration we set up. Financially everything went surprisingly smooth: expenses for 2-month room and board were pretty high but I was fully reimbursed by the EUtrain grant. To conclude, I fully suggest to go on a secondment in other Institutes within the Eutrain Network. It’s fun and useful for your projects! Patrick Maschmeyer, Pieter van Dijkhuizen, Michael Schäfers (Director EIMI, PI ESR07, Münster, Germany), Ilona Thijs, Mahesh Kondapuram and David Popp at the valedictory session of Mouse imaging academy. 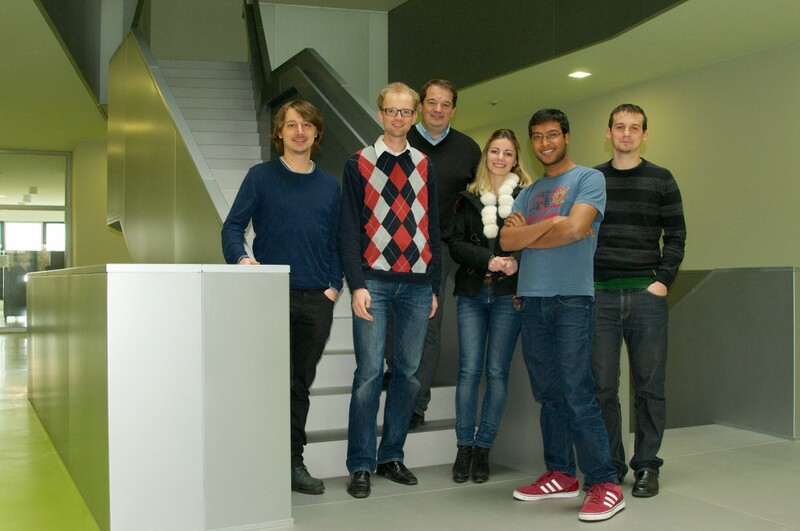 EUTRAIN fellows Pieter van Dijkhuizen (ESR04), David Popp (ESR05), Mahesh Kondapuram (ESR07), Bechara Mfarrej (ESR08), Patrick Maschmeyer (ESR11) and Ilona Thijs (ESR12) attended mouse Imaging academy workshop held at European Institute for Molecular Imaging, Münster during Nov 11-15. 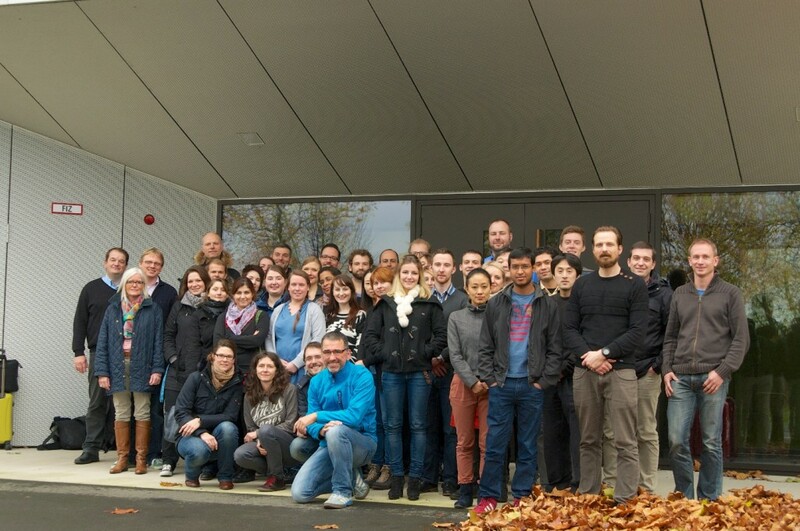 The fellows acquired hands on training in small animal PET, SPECT, CT, Ultrasound, MRI and optical imaging together with animal handling and data analysis. Apart from the practical training, the fellows also got an opportunity to discuss about their own work and their possible future collaborations and secondments.